Cenote Aktun Ha, meaning ‘water cave’ in Mayan, is better known as Cenote Carwash. 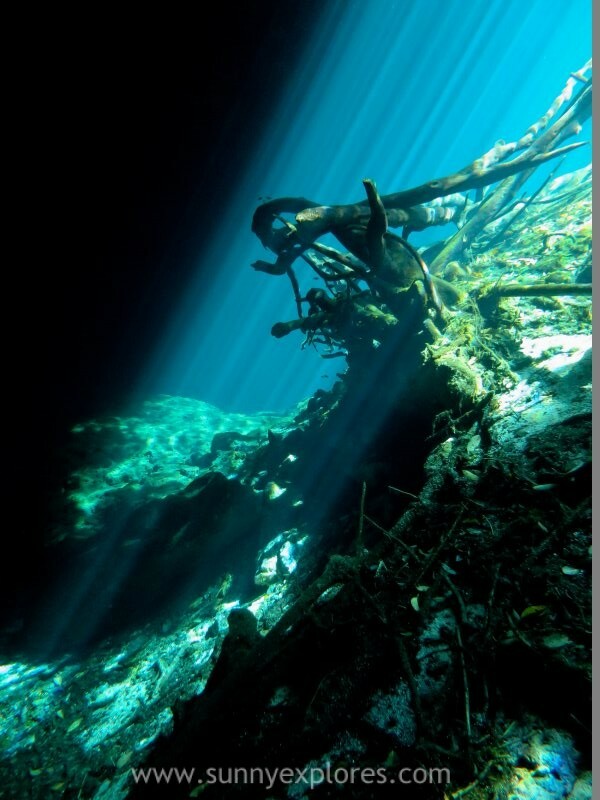 This cenote was the place where the taxidrivers from Tulum washed their taxis in the 80’s. 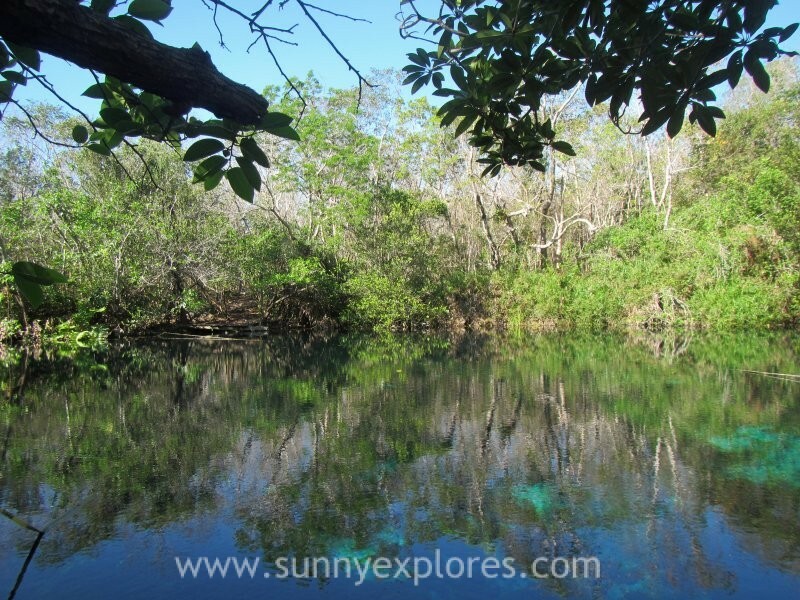 It was one of the first cenotes opened for diving and snorkling. 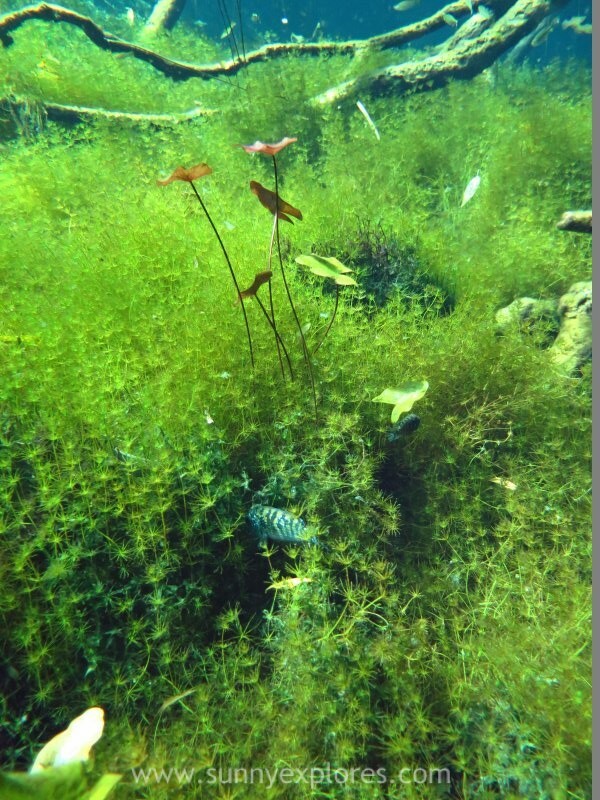 Cenote Carwash was my third cenote to dive and I was very suprised, because the dive was so different from my first two dives in Cenote Angelita and Cenote Calavera. Carwash is immensely green and looks like a drowned forest. 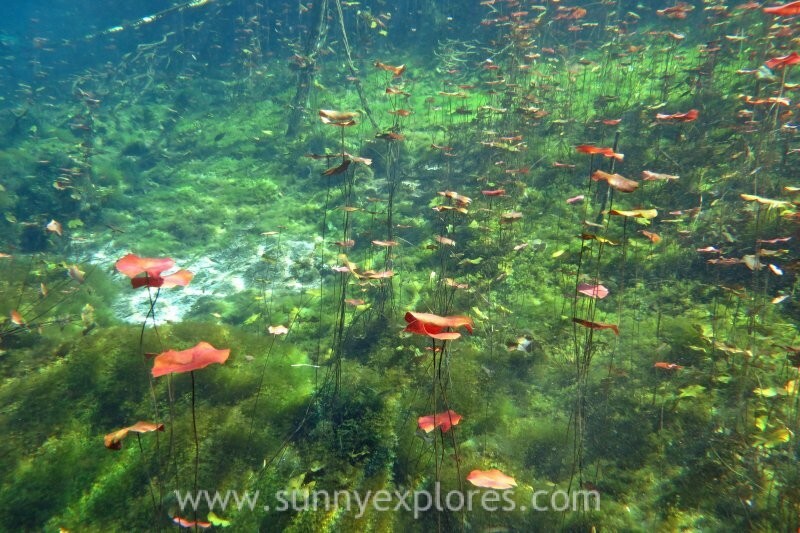 It has blooming water lilies, all kinds of plants and so much fish. 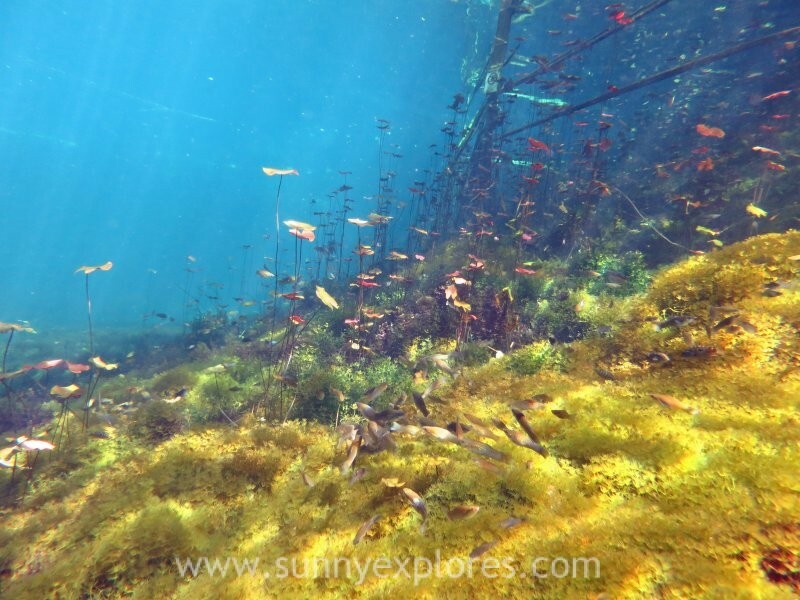 It’s like exploring an abundant underwater forest. 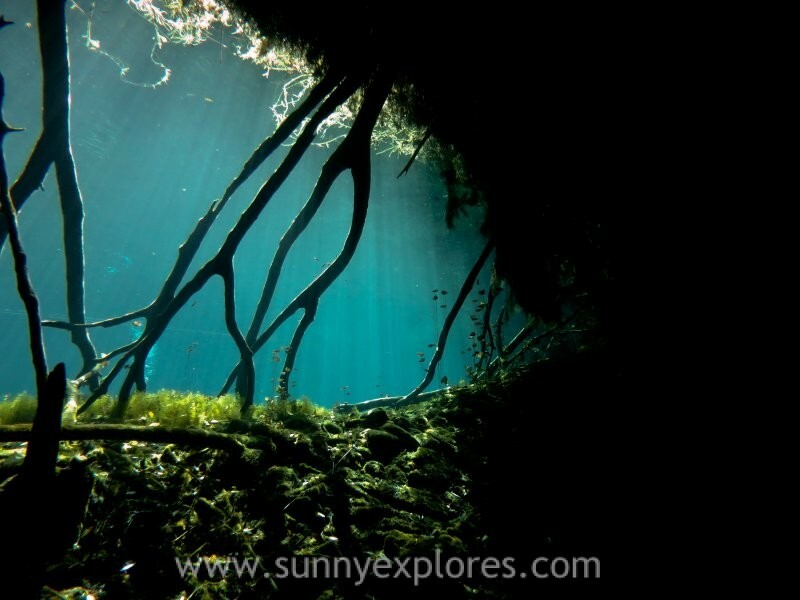 This cenote is a striking example of the natural collapse of sinkholes and looks like a gigantic lake, more than 50 meters wide. 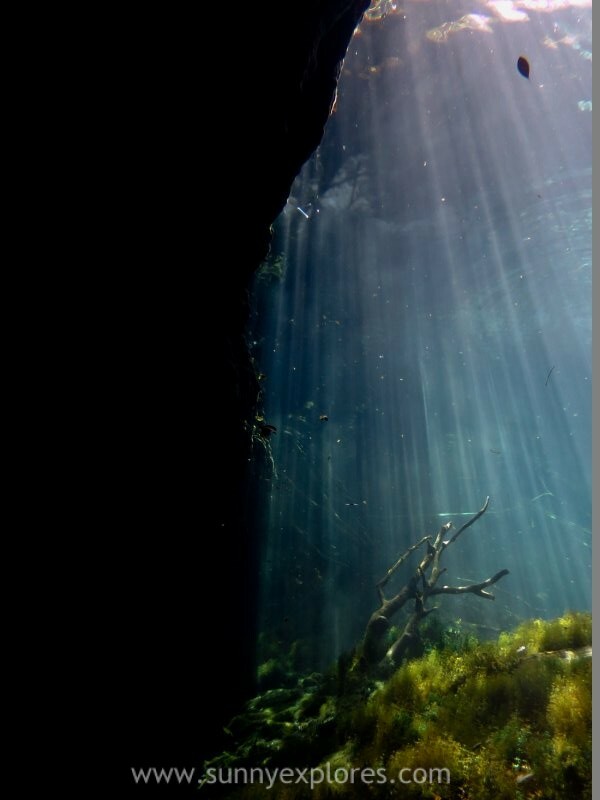 Yet, under the surface you will find caverns and caves. Because the entrance to the cavern is so wide, a lot of light enters through the surrounding trees. This gives a wonderful effect and it feels like you’re entering another world. 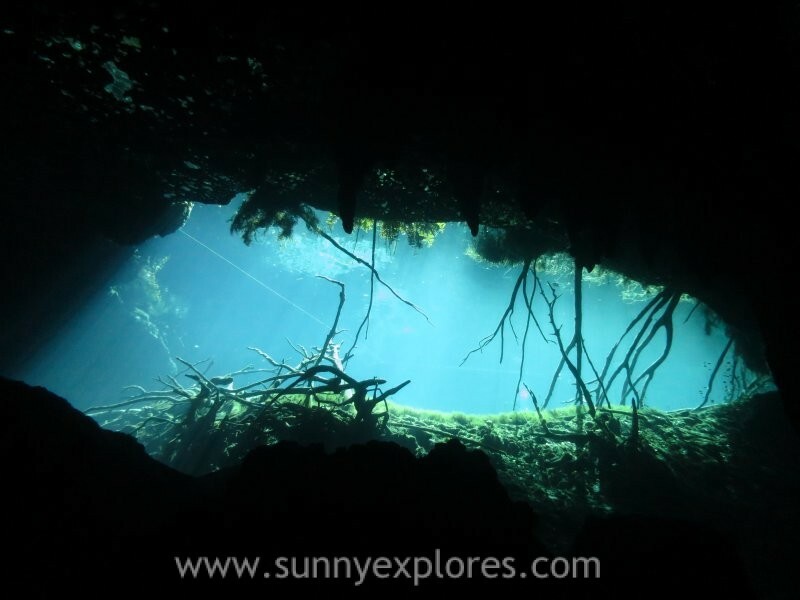 I specially loved the entrance of the cavern, as you pass under a curtain of tree roots, which makes you realise you are diving in the jungle. 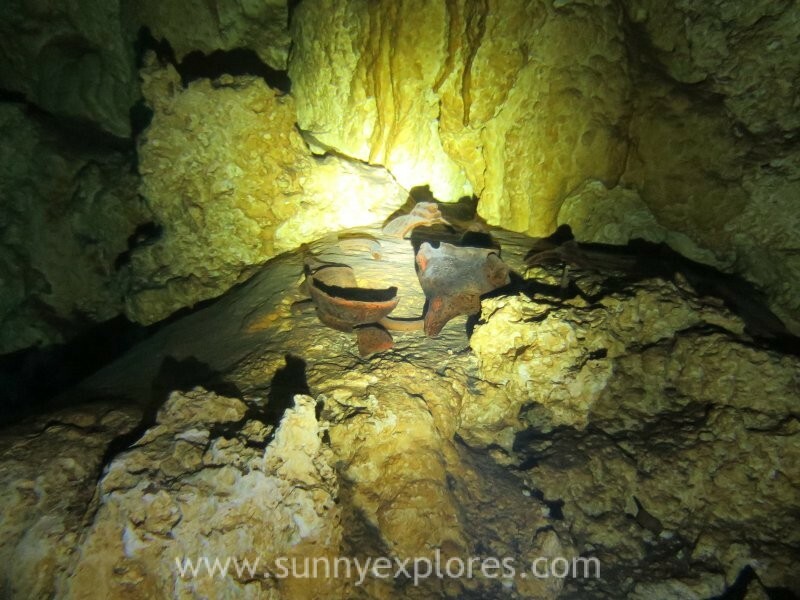 The cavern itself shows beautiful formations, columns and even some Mayan pottery. 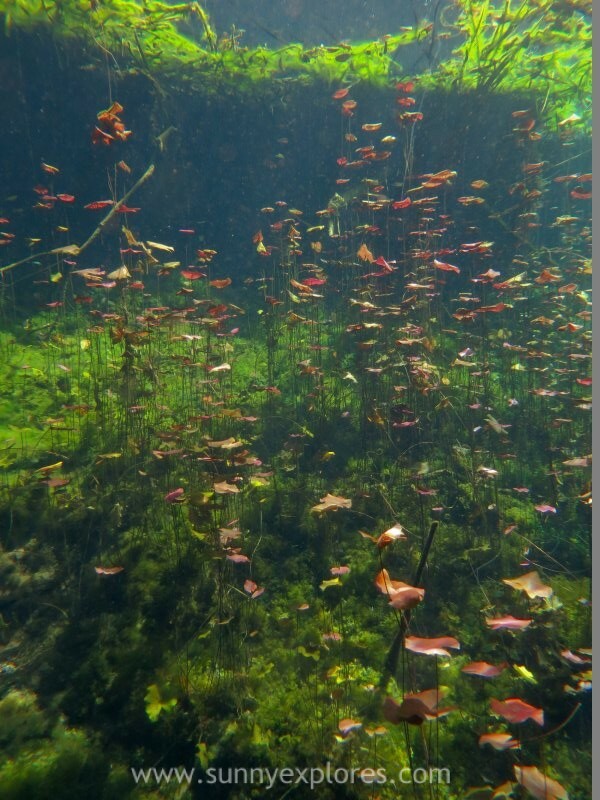 When you swim out of the cavern you enter a drowned forest. 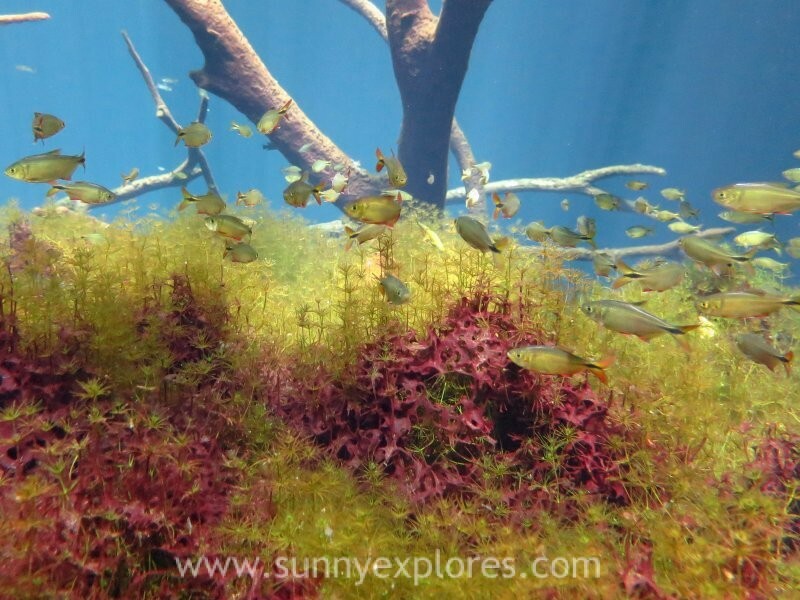 In this drowned forest is so much to see: plants, mosses, a flowergarden and so much fish. 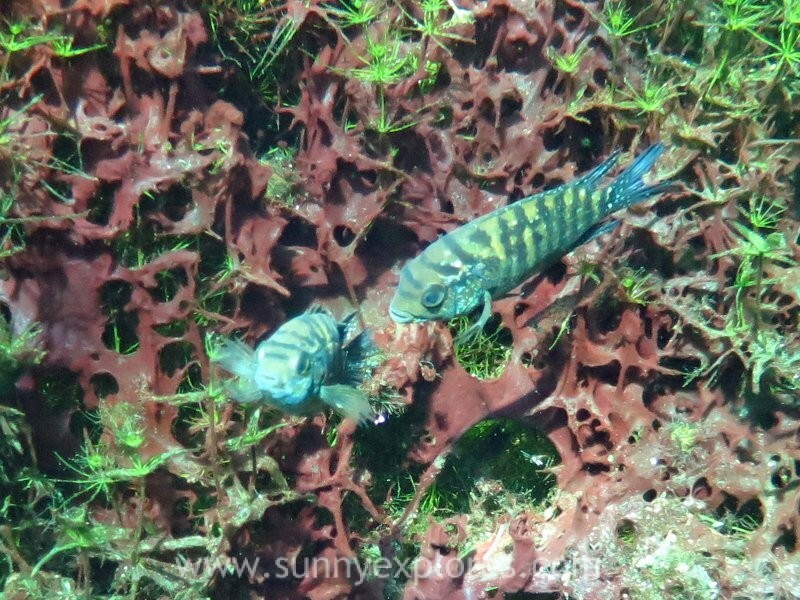 The whole dive, as well in the open water as in the cavern, the visibility is great. The silhouette of the trees and the sun light reflecting on the green bottum is an amazing sight. 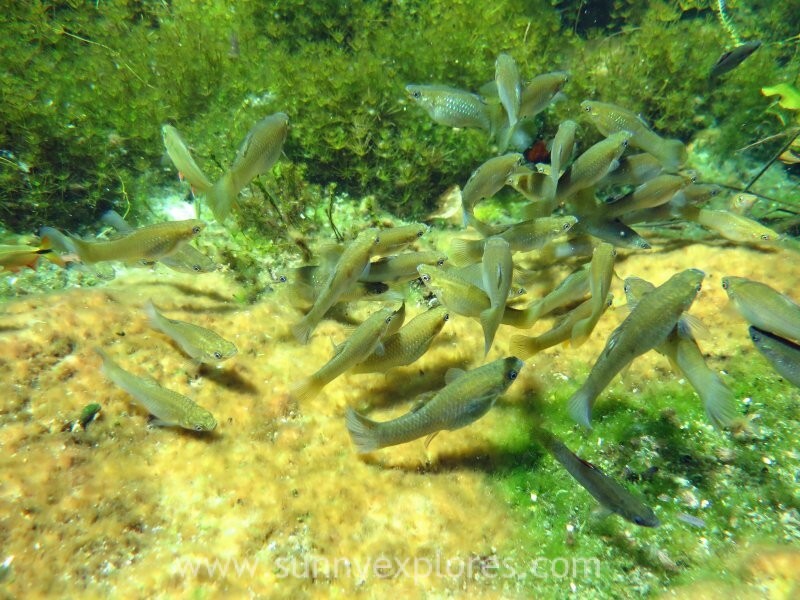 The Tetras seem to play in the light beams and the fish are as curious to divers as the divers to them. 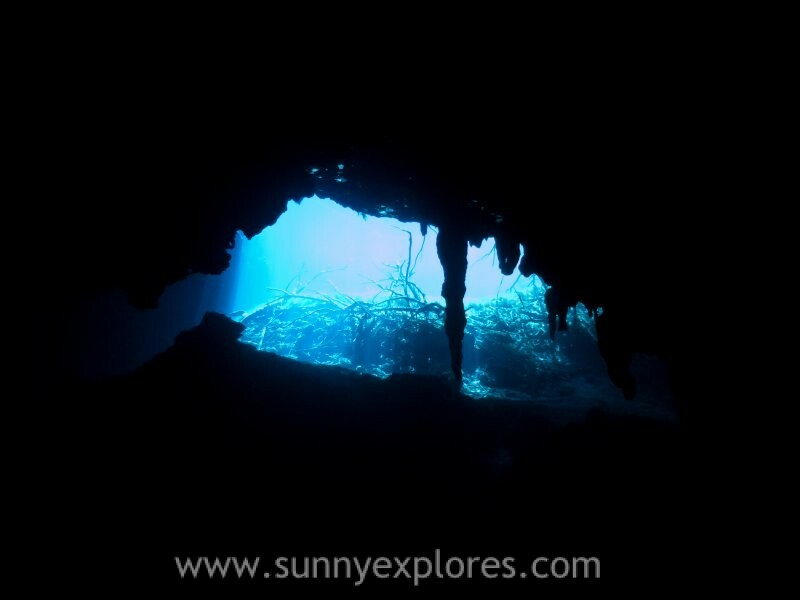 Don’t forget to look up, not only for the light spectacle, but also to spot turtles.. Cenote Carwash is such a nice and relaxing dive!